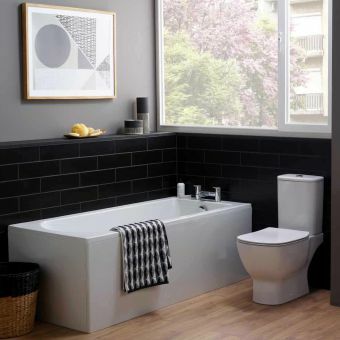 Featuring a sharp and modern look, the Carron Delta acrylic bath is the perfect place to soak after a long day at work. 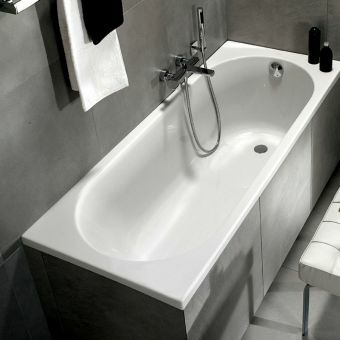 The edges taper for comfort and the sleek lines of the tub give it a luxurious appeal. There are two thickness choices available on this acrylic bath, 5mm or a Carronite finish which extends the life of the product. 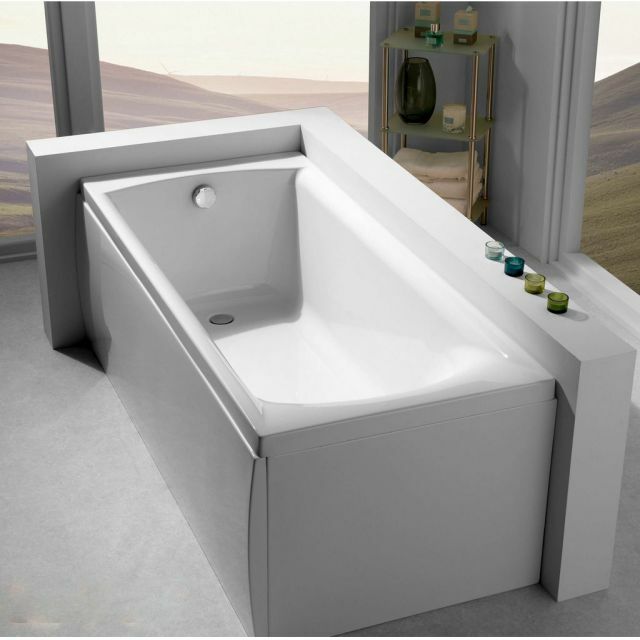 The Carronite version comes with a 30-year guarantee and it is twice as strong as tubs made from standard acrylic. 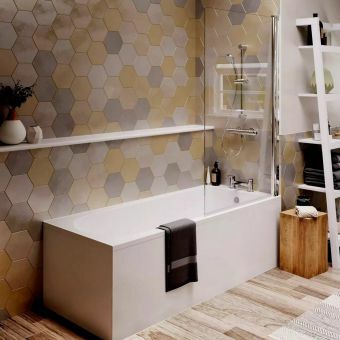 Since the tap holes are not pre-drilled, you can choose where to install your shiny new taps and a large selection can be found here. In addition, side panels to fit the front and end can be purchased to complete the installation. 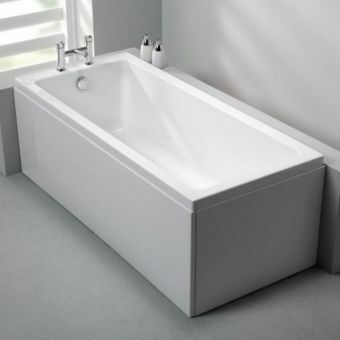 Supplied in 6 sizes starting with 1400 x 700mm right up to 1700 x 700mm as well as the Imperial 5' 6'' size. 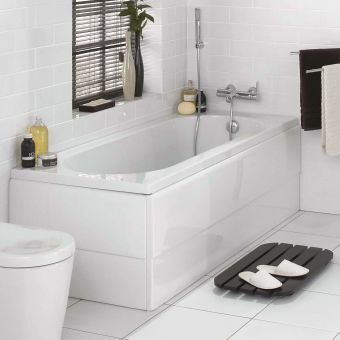 An overflow waste fitting is not supplied but we can always advise if you need help.